Combined telescopic leg and roof support rafter for Fiamma Caravanstore and Caravanstore ZIP awnings. 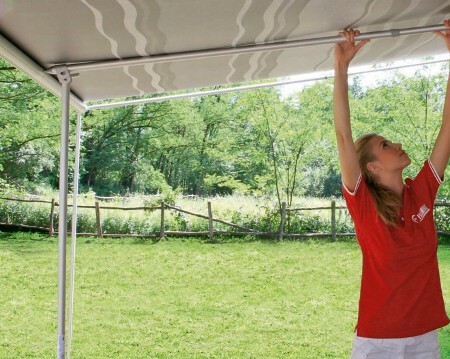 The Caravanstore Support Leg adds strength and solidity to the awning structure. This hinged assembly include a roof rafter with spiked end which fits in to a hole on the awning roller tube, and has a soft rubber foot at the other end which braces against the inside of the Caravanstore Bag. 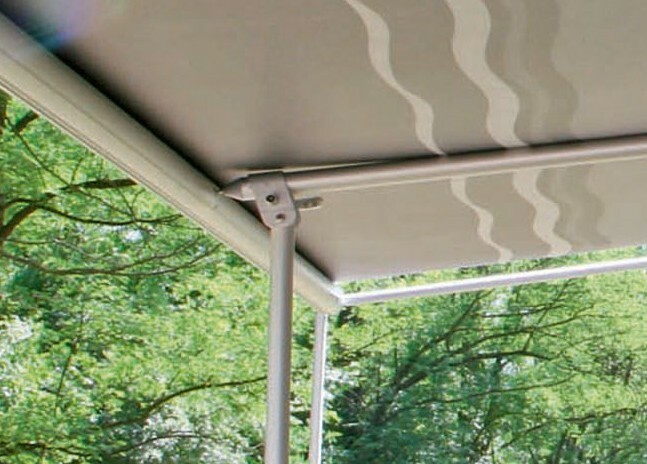 This provides extra support for the roof fabric to prevent it water pooling on the roof and supports the middle of the roller tube on longer awnings. The vertical leg is hinged to the rafter and has a plastic spiked foot to secure it in place on the ground. Made in anodized aluminium the leg and rafter are both telescopic to account for uneven ground and different awning projections. The whole support leg can be packed without did-assembly and takes up little space. 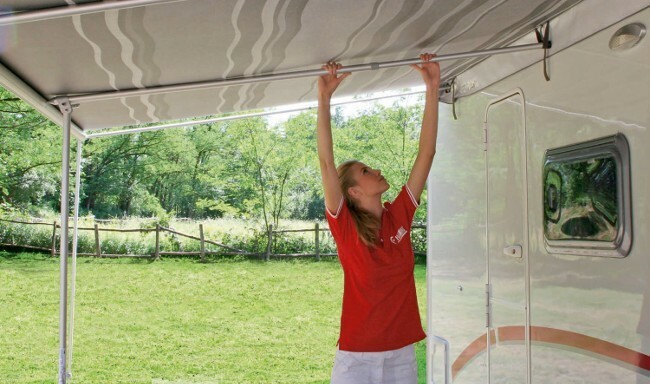 The Caravanstore Support Leg can be fitted to any length Caravanstore or Caravanstore ZIP awning from 2005 onwards. 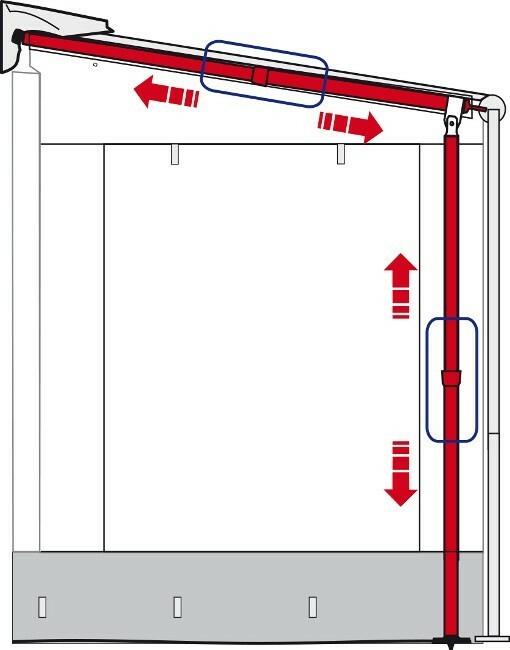 Some ages and shorter lengths of awning may require a small hole to be drilled in the awning roller tube to allow the rafter spike to be fitted. 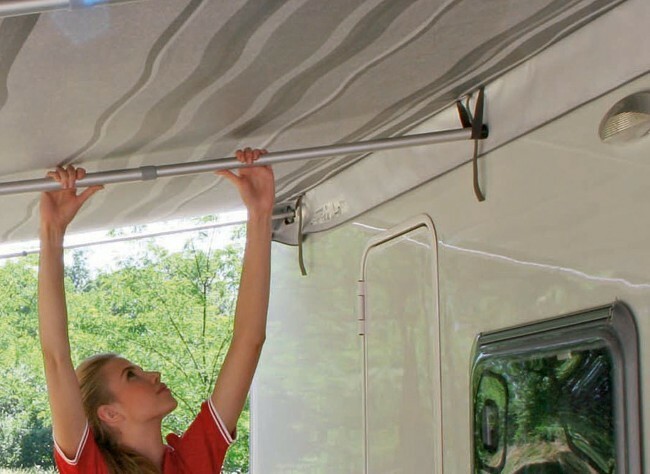 Support Leg rafter fits is held up by rafter cup or support strap fitted to the awning bag. If your Caravanstore does not have these you can fit Caravanstore Rafter Wall Support. Fiamma Caravanstore support leg is supplied as standard equipment with Caravanstore 440 and Caravanstore ZIP from 360 length upwards.